No.270 Porta-Screen Tray w/ Backing Cloth - Gilson Co.
No. 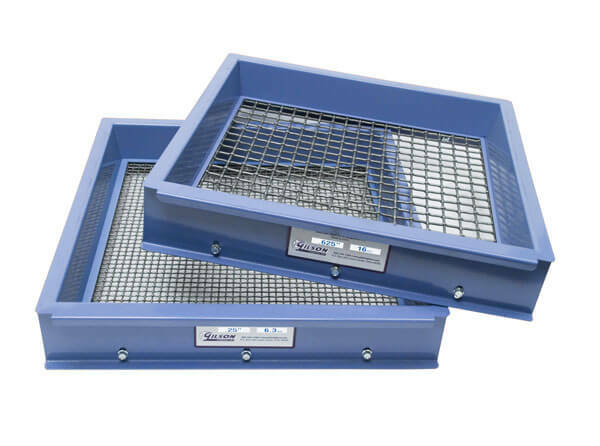 270 (53µm) Porta-Screen Trays with back-up cloth have welded and bolted heavy gauge painted steel construction and are fitted with ASTM E11 Compliance Grade stainless steel wire cloth. Included Backing Cloth prevents damage and extends service life.